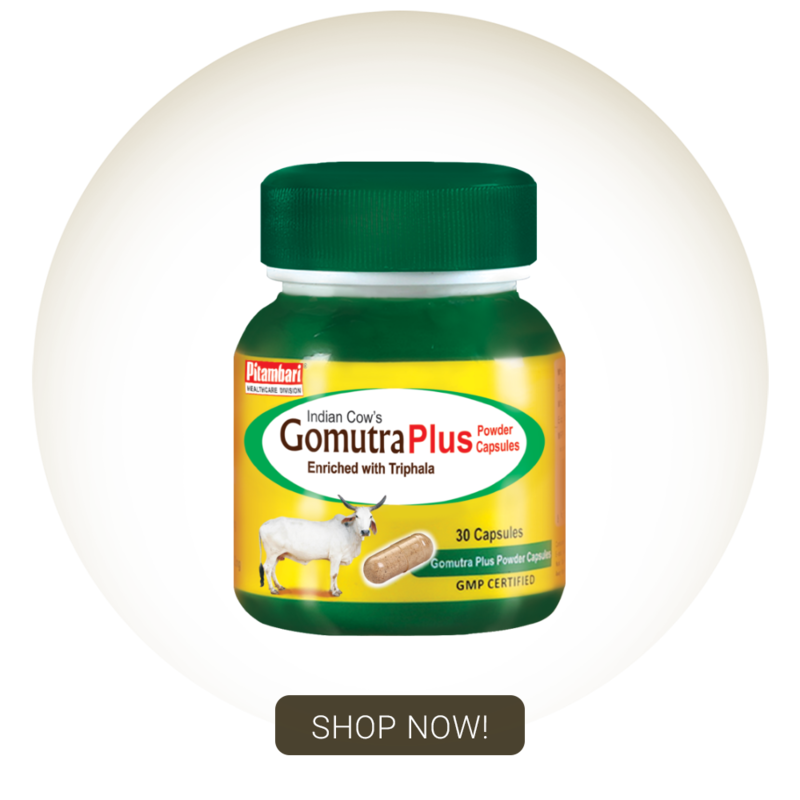 Gomutra plus capsule is an innovative product of Pitambari invented on the concept of “prevention is better than cure” which contains concentrated form of gomutra powder blended with goodness of Triphala (Amla+ Behada+ Harda) . • No pungent taste & Odor, because we have converted Gomutra (cow urine) into powder capsule form. Dose: 1-2 capsules once or twice a day with water after food.